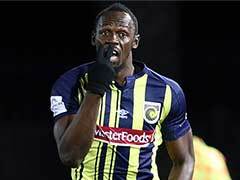 Usain Bolt, 32, has been on trial with A-League club the Central Coast Mariners since arriving in Australia in August. 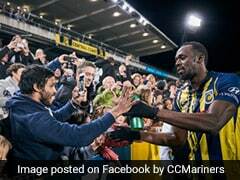 Sprint king Usain Bolt could be making his way to Europe after being offered a two-year professional football contract in Malta, reports said Tuesday, with the club saying it wanted to "write history" with the signing. 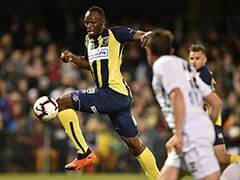 Bolt, 32, has been on trial with A-League club the Central Coast Mariners since arriving in Australia in August in his bid to pursue a boyhood dream of becoming a footballer after retiring from athletics last year. The 100 metres world record-holder scored his first two goals in professional football on Friday when he started a pre-season game against second-tier Macarthur South West United in Sydney. Malta club Valletta FC said they had made a formal offer which includes playing in its upcoming cup final, with chief executive Ghasston Slimen saying the move to snare Bolt was "about writing history". 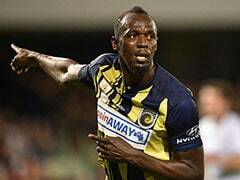 "Usain Bolt broke the record in Beijing (Olympics) in 2008, and I have followed him for the last year-and-a-half on his football journey," Slimen told the Australian Broadcasting Corporation. 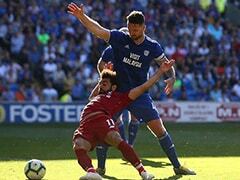 "We play the final of the Super Cup on December 13, which we will win... so can you imagine Usain Bolt lifting the Super Cup trophy 10 years after he broke the record in Beijing? "This isn't about money, this is about history. This is something that they will talk about in 50 or 100 years' time." Slimen admitted Bolt still had to improve his footballing skills, but said he was inspired by the former sprinter's jubilant celebrations -- including the trademark lightning bolt victory pose -- after the goals. "I don't want him to be here on holiday, I want him training hard," he said, adding that he wanted Bolt to be lifting trophies during his stint at Valletta. 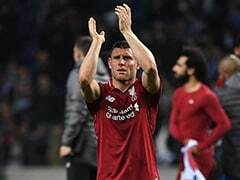 "I don't want to make a big fuss, I want him to sign the contract, get on the flight, arrive in Malta and train, because we need to prepare for the Super Cup." 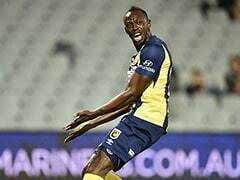 Bolt does not yet have a contract with the Mariners ahead of the start of the A-League season this Friday, with the club's chief executive Shaun Mielekamp saying in a statement that the Jamaican "will continue his indefinite training period... until any further notice". 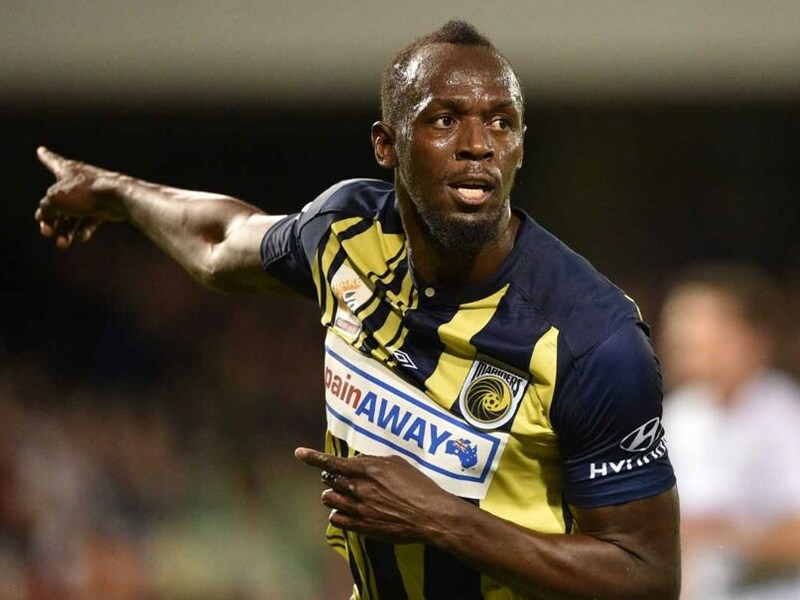 Media reports suggest the Mariners are waiting for governing body Football Federation Australia to decide whether it will contribute to a potential 3 million Australian dollars (2.1 million dollars) offer to Bolt. FFA head David Gallop said Tuesday "the story of a contract in Europe is news to me", but that any financial support from the governing body would not be drawn from a marquee fund set up to attract top players to the A-League. "The ball is very much in the Mariners court. They have to make a decision whether they want to move to put Usain onto a contract," Gallop told Macquarie Sports Radio. "If they get to that point (of signing Bolt) then we'll look at what's feasible for us but it can't be from the marquee player fund.... we can't use that money but we'll look at if we can do anything else."